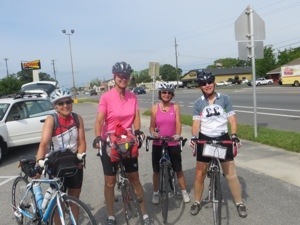 It was not too difficult to bike out of Pensacola this morning – most of the traffic was headed into town. 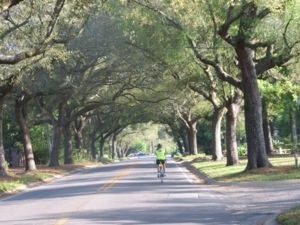 And we enjoyed the tree-lined residential streets. 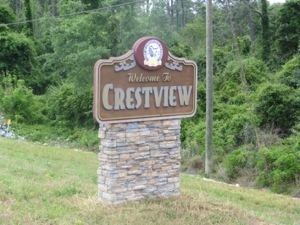 At mile 9.5, we turned onto US 90, the Scenic Highway, and continued until mile 27.5. It had a nice shoulder, so we were not bothered by the traffic. 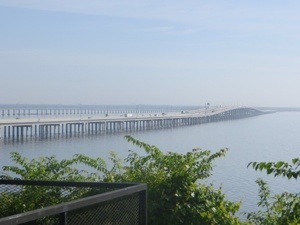 We did stop at mile 10, when our route intercepted I-10, to photograph the bridge over Escambia Bay. 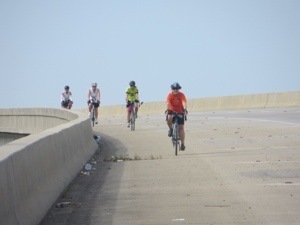 US 90 also crossed the Escambia River, but a much shorter, less dramatic bridge. 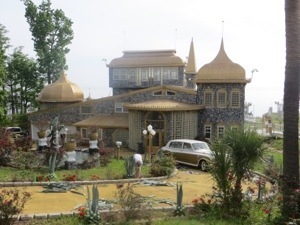 Also along US 90, we passed this mansion and related buildings and were told it was a private residence. Carol rode to the first sag, and seemed to enjoy stretching her legs. 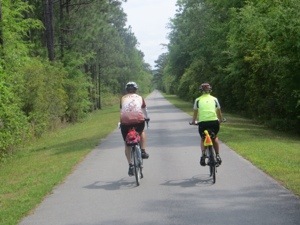 After a pleasant stop at Truly Spokin’, the bike shop in Milton, we turned onto the Blackwater Heritage State Trail. It has been many miles since we rode a dedicated bike trail. There was little other traffic, cyclists or walkers. 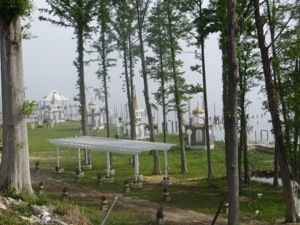 When we turned off the trail, we were in a more remote area, with few houses. Two of our riders each ended up alone in these 20 miles and said they felt a bit vulnerable. 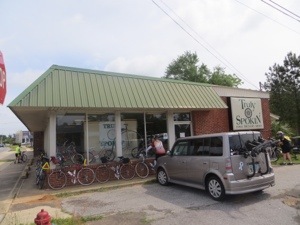 Donna, Jo and I were more than ready for lunch at mile 52, but the recommended Uncle Billy’s was closed. 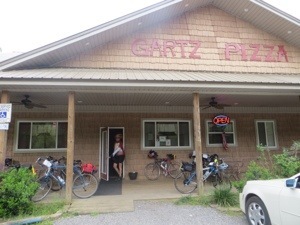 Luckily a family pizza restaurant had opened in Holt, and we were able to enjoy lunch, and get revitalized. Our full stomachs made the hills in the final 17 miles a bit more difficult, but we managed. 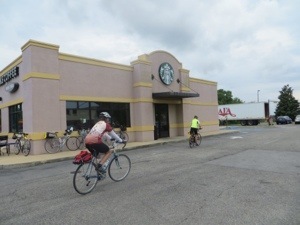 The great excitement was finding a Starbuck’s quite close to the hotel here in Crestview. It started to sprinkle just as we arrived at the hotel; some rain at dinner time, but two rainbows just as we started map meeting. Our last 90+ mile day is tomorrow, so it is off to bed. 69 miles today; average 11.7 mph. not 1, but 2 rainbows, Dolly! What a gift! !